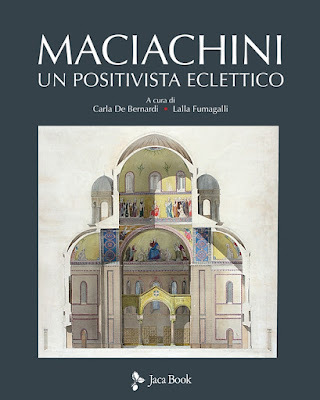 It is with great pleasure that the Association Amici del Monumentale announces the appearance of a new book, this time dedicated to the works of Carlo Maciachini, the architect of the Monumentale Cemetery of Milan. 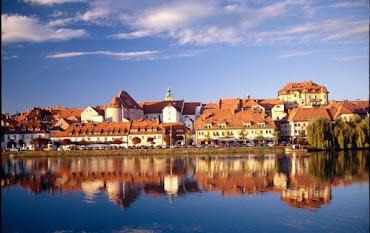 The volume will be officially presented at Induno Olona, birthplace of the architect, on February 2nd. Additional presentations will be held at Varese, Milan, Pavia, Busto Arsizio and Trieste since they all host works executed by him. 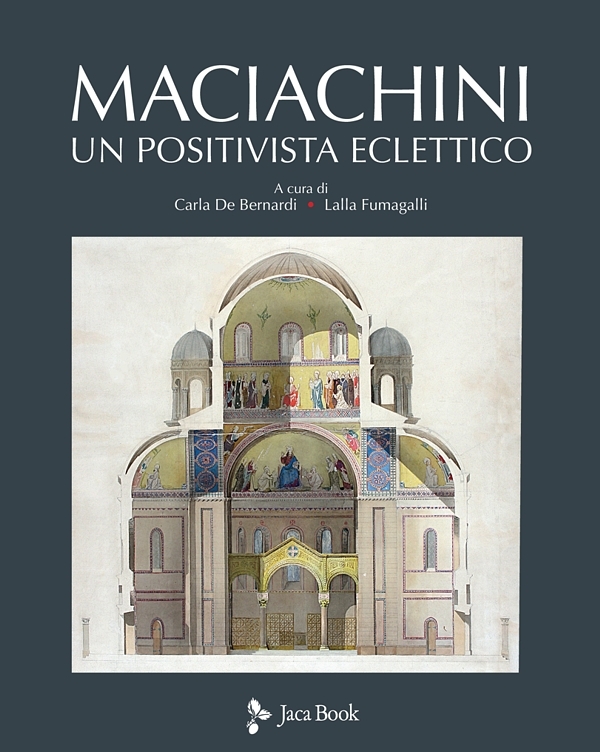 Maciachini, un positivista eclettico (Maciachini, an eclectic positivist) is edited by Carla De Bernardi and Lalla Fumagalli, respectively president and vice-president of the Amici del Monumentale, to celebrate the 200th birth anniversary of the great architect (1818) and properly remember him on the 120th anniversary of his death. The book is made up of numerous contributions from major professors and academics that provide key elements that highlight Maciachini’s thought and work. As a positivist, he strongly believed in scientific advancement; we owe him the crematory at the Moumentale, the first to be build in Europe. As an architect, he created the eclectic style that originally combined Byzantine, Gothic, Pisan Romanesque features in his masterpiece, the Monumentale Cemetery.